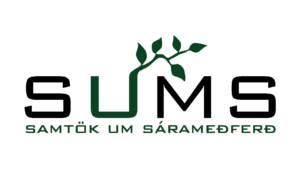 The Icelandic Wound Healing Society (SUMS) is a multidisciplinary organisation for wound management in Iceland. SUMS was founded in 2004 and has continued to grow and develop ever since. Its membership now consists of over 200 members, making it one of the largest interdisciplinary organisations in health care in Iceland. Central to SUMS´s objectives is to support implementation of interdisciplinary and cost effective wound care of high quality for Iceland. Our detailed objectives include improving national knowledge and competence in wound management, supporting cooperation and equality in wound care across professions and treatment facilities, and collaborative development with national and international bodies. SUMS works to reach its objective by being an educational resource, organising conferences, contributing to international projects related to wound management, and actively supporting the implementation of existing knowledge within wound management. SUMS´s annual conferences are amongst the largest national conferences in Iceland and are the main forum for professionals involved in wound care. SUMS actively supports research and development in wound management through its yearly funding of relevant research projects grants. SUMS is a member of EWMA (European Wound Management Association).